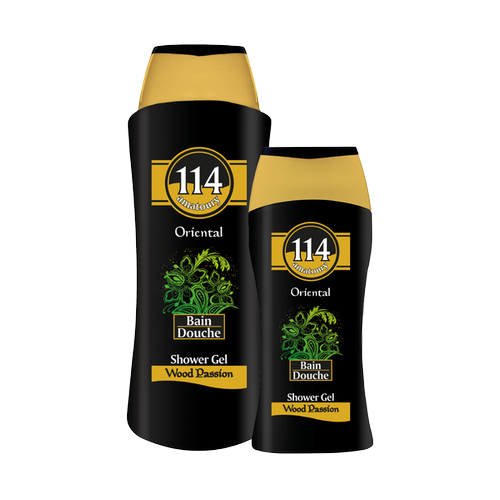 114 Oriental Shower Gel collection is infused with luxurious perfumes and natural emollients that envelop you in a divinely scented veil of satiny softness. Delight your senses and enjoy your shower like never before. Dermatologically tested. 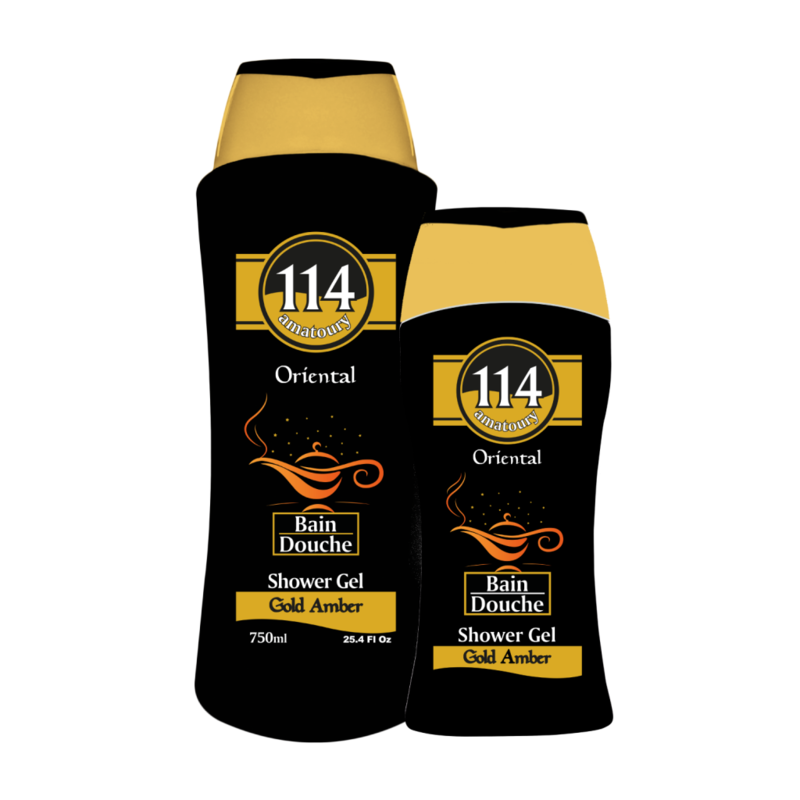 “The Oriental collection” is our take on oriental scents within a showering moment. Formulated with the purest ingredients and with mesmerizing fragrances inspired by the East, Velvet Musk cleanses your skin while infusing it with a long-lasting note of velvety musk straight from an oriental souk. Aqua, Sodium Laureth Sulfate, Lauryl Glucoside, Cocamidopropyl Betaïne, PEG-7 Glyceryl Cocoate, Cocamide DEA, Sodium Chloride, PEG-3 Distearate, Disodium Cocoamphodiacetate, Perfume, Polyquaternium-7, Citric Acid, Methyl- Chloroisothiazolinone, Methylisothiazolinone, Tetrasodium EDTA, Alpha-iso-methyl Ionone, Benzyl Benzoate, Benzyl Salicylate, Butyphenyl Methylpropional, Citronellol, Coumarin, Hexyl Cinammal, Linalool. “The Oriental collection” is our take on oriental scents within a showering moment. Formulated with the purest ingredients and with mesmerizing fragrances inspired by the East, Dark Black cleanses your skin while infusing it with a long-lasting perfumed guaranteed to awaken all your deep mysterious memories. Aqua, Sodium Laureth Sulfate, Lauryl Glucoside, Cocamidopropyl Betaïne, PEG-7 Glyceryl Cocoate, Cocamide DEA, Sodium Chloride, PEG-3 Distearate, Disodium Cocoamphodiacetate, Perfume, Polyquaternium-7, Citric Acid, Methyl- Chloroisothiazolinone, Methylisothiazolinone, Tetrasodium EDTA, Benzyl Salicylate, Butyphenyl Methylpropional, Linalool. “The Oriental collection” is our take on oriental scents within a showering moment. Formulated with the purest ingredients and with mesmerizing fragrances inspired by the East, Wood Passion cleanses your skin while infusing it with long-lasting woody notes of precious Oud which will take you on a one thousand night’s journey. Aqua, Sodium Laureth Sulfate, Lauryl Glucoside, Cocamidopropyl Betaïne, PEG-7 Glyceryl Cocoate, Cocamide DEA, Sodium Chloride, PEG-3 Distearate, Disodium Cocoamphodiacetate, Perfume, Polyquaternium-7, Citric Acid, Methyl- Chloroisothiazolinone, Methylisothiazolinone, Tetrasodium EDTA, Eugenol, Geraniol. “The Oriental collection” is our take on oriental scents within a showering moment. Formulated with the purest ingredients and with mesmerizing fragrances inspired by the East, Sarab cleanses your skin while infusing it with a long-lasting sensuous perfume that transports you to a chimerical oasis in the middle of the Sahara. Aqua, Sodium Laureth Sulfate, Lauryl Glucoside, Cocamidopropyl Betaïne, PEG-7 Glyceryl Cocoate, Cocamide DEA, Sodium Chloride, PEG-3 Distearate, Disodium Cocoamphodiacetate, Perfume, Polyquaternium-7, Citric Acid, Methyl- Chloroisothiazolinone, Methylisothiazolinone, Tetrasodium EDTA, Benzyl Salicylate, Butyphenyl Methylpropional, Coumarin, D-Limonene, Linalool. “The Oriental collection” is our take on oriental scents within a showering moment. Formulated with the purest ingredients and with mesmerising fragrances inspired by the East, Gold Amber cleanses your skin while infusing it with a long-lasting sensuous perfume that transports you to a Magical Gold Bath. Aqua, Sodium laureth sulfate, Cocamidopropyl betaine, Lauryl glucoside, Glycol distearate, Laureth-4, Disodium cocoamphodiacetate,Glycerin, Peg-7 glyceryl cocoate, Cocodiethanolamide, Sodium chloride, Perfume, Polyquaternium-7, Citric acid, Methylchloroisothiazolinone, Methylisothiazolinone, Tetrasodium EDTA.